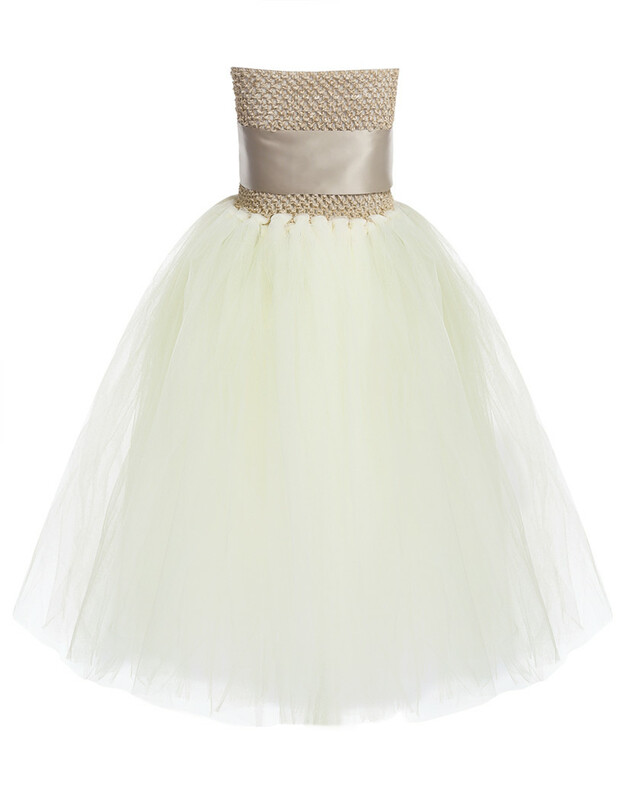 Elastic and hollow out knit style top bodice. 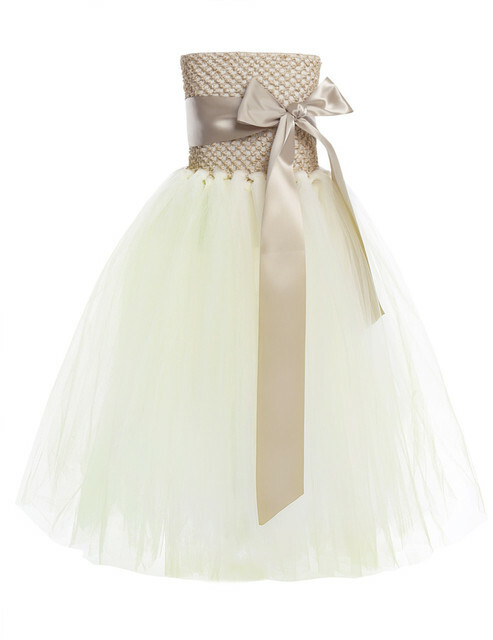 Wide ribbon shoulder straps which can be adjusted and tied as a bowknot at the back. 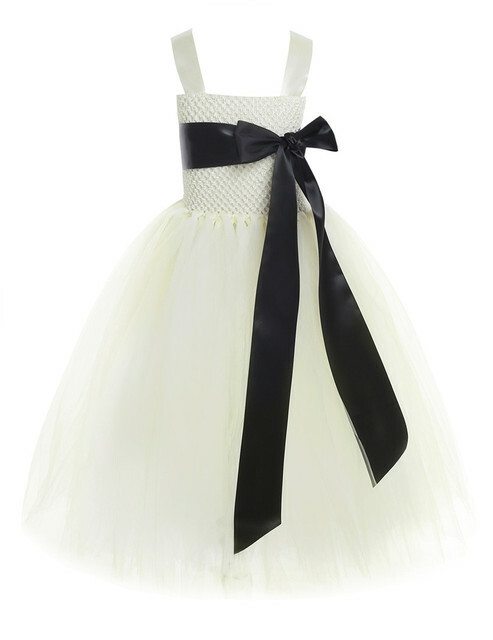 Tutu skirt with tulle stripes attached to the top bodice. 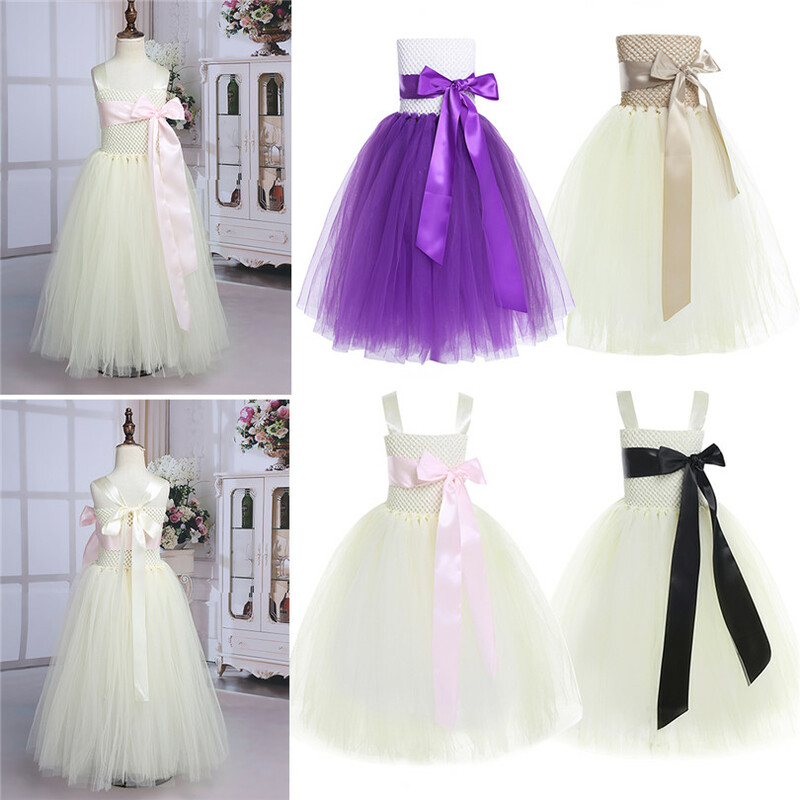 Comes with a ribbon sash that can be made as a bowknot at the front. 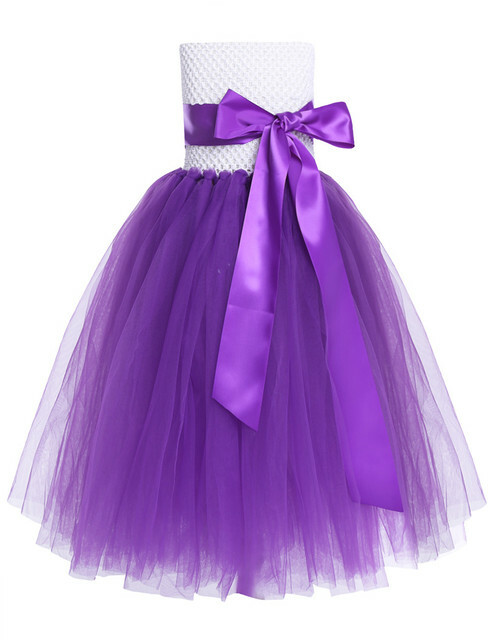 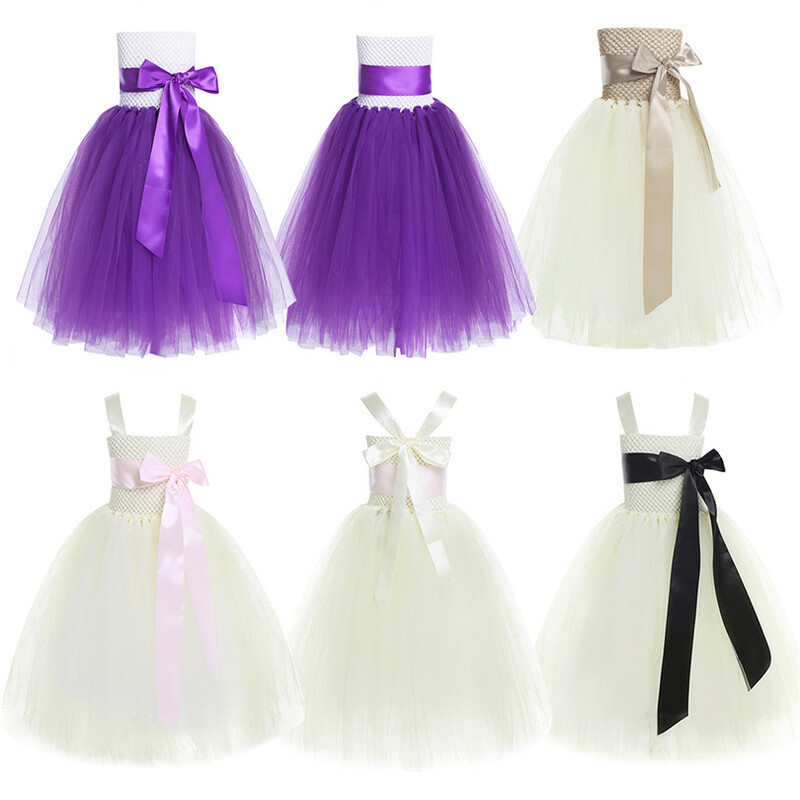 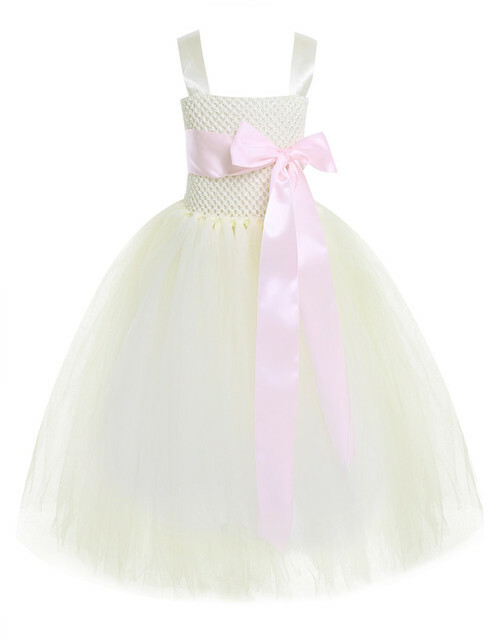 Perfect for birthday party, wedding, pageant, and other special occasions.